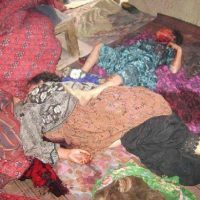 Since the fall of the Taliban, the international community has been playing a game of double-standards in Afghanistan. George Bush, for example, repeatedly talked of spreading democracy in Afghanistan but not once did he raise his voice against those accused of human rights violations. The Afghan government led by Hamid Karzai is pleased with such pronouncements, as they downplay the daily increase in corruption, injustice and inefficiency. Karzai is content with such pronouncements and is exploiting them to ensure his own survival. Nowadays he officially refers to Mullah Omar, the leader of the murdering band of the Taliban, as his “dear brother Mullah Omar” and is asking for the names of Taliban killers to be removed from the UN blacklist. In doing so, the Afghan government is intending to complete the number of human rights violators in the government by officially including the Taliban and Golbuddin Hekmatyar’s terrorist group. But, even if the intention exists to fight Hekmatyar and the Taliban, the struggle has to begin from the presidential palace and parliament. 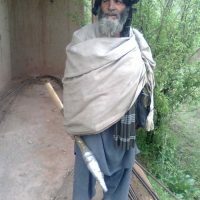 This is because many men loyal to the Taliban and to Hekmatyar are currently acting as senior advisers to President Karzai, including education minister Faruq Wardak; culture minister Karim Khorram, Mullah Zaif and Mullah Mutawakel as well as such tie-wearing Taliban like Hedayat Amin Arsala and former finance minister Nurulhaq Ahadi. 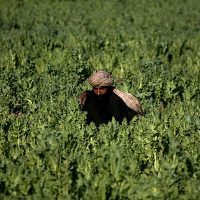 The international community’s game of double standards and the Afghan government’s backing of this game has had bitter results for the people. Alongside the spread of human rights violations, the situation with regard to freedom of expression has become equally desperate. Afghanistan has become one of the most dangerous parts of the world for journalists. 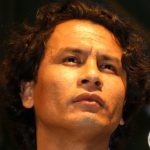 Seven journalists have been killed in Afghanistan since the fall of the Taliban, a number of others have been kidnapped and dozens more have been arrested and imprisoned, beaten and belittled. 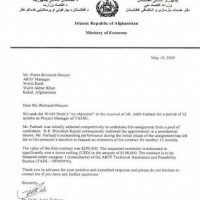 Thousands of letters have been sent so far to Karzai about Parwiz Kambaksh, a journalist sentenced to 20 years’ jail, but so far Karzai hasn’t even taken the smallest of steps to help Kambaksh. 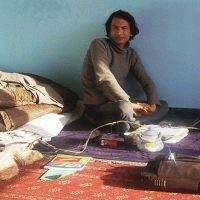 This is even though all Kambakhsh has done is to download a piece of writing off the internet, to print it and distribute it to a small group of friends. Exactly one day after Kambakhsh was sentenced to 20 years, a serious human rights violator by the name of Asadullah Sarwari was given 19 years in jail, a year less than Kambakhsh. Even though the situation of the freedom of expression had little to offer prior to the appointment of the current culture minister, Karim Khorram, it seems that by appointing Khorram three years ago, Karzai has taken organised measures against freedom of speech and culture in Afghanistan. The measures are to be put into practice through this specific member of Golbodin Hekmatyar’s party. Only a few days after becoming minister, Khorram had turned up at a cultural institution. There, he banned female photographers from photographing him. He told them that he did not want women to take his picture. This Taliban-style attitude showed that Khorram had no inclination to come to terms with freedom of speech and that he would take measures to curb this freedom. Khorram has gone so far as to officially and practically declare freedom of expression not a basic human right but a worthless western phenomenon. In his most recent pronouncement, he has defended Nimroz officials’ decision to throw thousands of books into the river. The books in part were about oppressive Afghan rulers but also included books considered sacred by the Shia minority of Afghanistan. The minister has used all that is in his power to stop freedom of speech in Afghanistan. 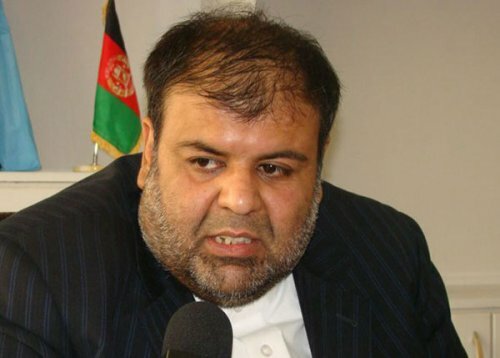 His coming along with military men in a raid on the National Radio and Television station, the expulsion of 80 journalists, the sending to court of dozens of files of journalists and media outlets, the sending of letters ordering around the press, the lack of financial transparency in his ministry are part of the minister’s measures against culture and freedom of expression in Afghanistan. 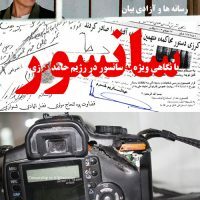 Equally, when the National Security Department, yet another government body that is threatening freedom of expression, sent out letters of censorship filled with bans to media outlets, the culture ministry, which according to the media law is supposed to defend freedom of expression, happily remained silent. Right now, the culture ministry together with the telecommunication ministry is planning to introduce a system of filters on internet websites. The ministries have said that only pornographic websites and websites that run counter to the Afghans’ Islamic culture will be affected. But judging by the minister’s record so far, running against Islamic and Afghan culture means anything that is not in line with the minister’s interpretation of Islam or culture. Kabulpress, one of the most famous Afghan internet websites, is presently offering its readers instructions on how to bypass the filter. Self-censorship is equally widespread in Afghanistan, and many journalists are unable to express their criticism in newspapers, on radio or television. 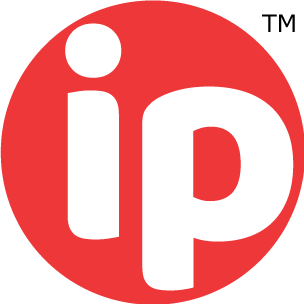 Left with no choice, some of them have turned to the internet, and are writing under aliases for various internet websites. Experience over the last eight years had shown that the international community’s game of double standards, which is supported by Kabul, has not only failed to improve the situation but has made the situation worse. But all the international community needs to do is to focus its energy and capability on the establishment of freedom of expression, and on ensuring justice, and fighting illiteracy, and drawing up plans for basic fundamental economic structures. This would enable Afghanistan to move forward in history, rather than backward, as it’s doing right now.